The Clarets' boss is the fifth longest-serving manager in the Premier League and Football League combined. As Sean Dyche reaches his sixth anniversary at Turf Moor this week, we take a look at some of his finest moments during a tenure that has undoubtedly enjoyed much more ups than downs for Burnley. The Road to Europe: It may see somewhat strange to start with a goalless draw but this result was a milestone in the progression of Burnley under Dyche. The point edged the Clarets a step closer to a return to European football for the first time in 51 years and that top seven finish was confirmed when Everton slipped up later that weekend. 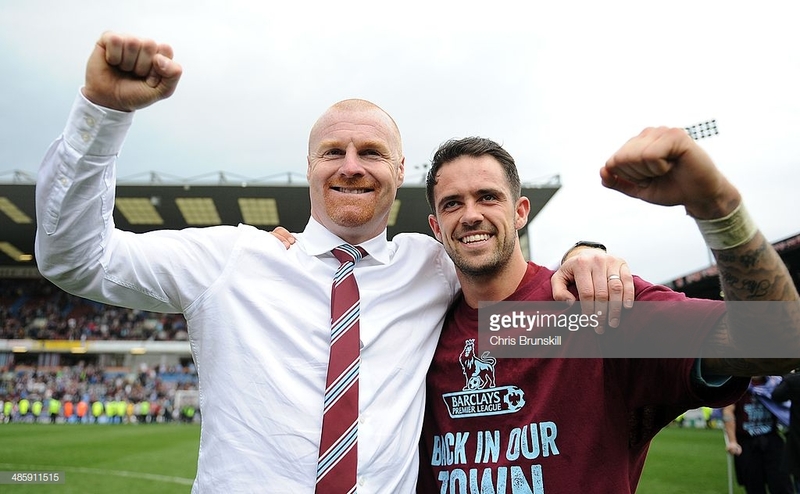 A Campaign to Remember: The best season for Burnley in their recent history was ignited by a remarkable result on the opening day of the season at the home of the champions. An early red card for Gary Cahill did Chelsea no favours but a Sam Vokes double and wonder strike from Stephen Ward stunned football fans across the country. Chelsea launched a fightback but Burnley showed the spirit to hold on - an attribute that was to define their season. Return to Europe: The return of European football to Turf Moor was greeted by a dramatic qualification game against Aberdeen. The sides had drawn the first leg in Scotland 1-1 before the same scoreline was repeated back in Burnley. The contest went into extra-time before a Jack Cork header and Ashley Barnes penalty earned a trip to Istanbul in the next round. Staying Up: Yet it hasn't all been an easy ride towards the top of the table for Burnley and Dyche. During the 2016-17 campaign, the Clarets had not won a single away game with just a few weeks remaining of the season. However, they produced a resilient display to overcome Crystal Palace as goals from Barnes and Andre Gray edged then towards safety after returning to the top flight the season before. When asked about his highlights by the Burnley website this week, Dyche commented: “There have been so many - remaining in the Premier League and then finishing seventh and going into Europe." Promoted Again: After a mammoth 21 games unbeaten, Burnley secured a return to the Premier League after being relegated 359 days earlier. A trademark Vokes header signed off their home schedule before victory on the final day of the season at Charlton ensured they were promoted as Championship champions. Dyche admitted: "I can’t forget that. Getting to that Christmas period and a few questions getting asked and then we just went all the way through that second part of the season. That’s another massive highlight." First Taste of Success: Despite only buying one player for any sort of transfer fee, Dyche secured promotion in his first full season at the helm. That new face was Barnes who opened the scoring before Michael Kightly ensured their first automatic promotion to the top flight since 1973. The legendary Burnley boss acknowledged: “I still speak about that as my favourite game. It just meant so much at the time at the end of a season’s work, an amazing season when no-one expected anything."